The pictures don’t do it justice. The pictures present a breathtaking image, but the pictures don’t do it justice. At the top of an island sits a majestic abbey with its multiple steeples protruding into the sky. The bright, blue water surrounding the island travels to meet the cloud-scattered sky, and viewers realize the spiritual devotion it must’ve taken for those who built the monastery at the top of the island. One land bridge leads the travelers to their destination, dropping them off at the bottom to make the steep, also breath-taking, journey to the summit of the island. My mother loved to travel, but sometime after her first child, her fear of flying presented itself and limited her future itineraries to North American locations via car or lengthy, cramped train rides. 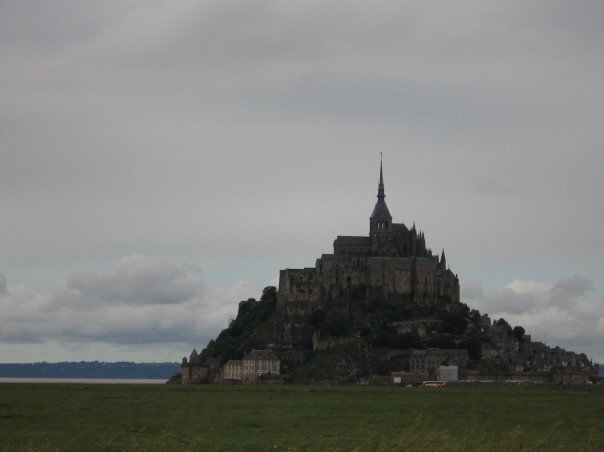 Every now and then, during my studies of the French language and culture in high school, my mom would mention her desire to visit Mont St. Michel. Although she never specifically said why, I have to believe her faith was one of the reasons she was drawn to the picturesque abbey in Northwestern France. If her years had not been cut short, perhaps she would have sought out the Trans-Atlantic boat ride to take her to her desired destination. I would love nothing more than the chance to travel with my mom to Mont St Michel, visit the sites of Northern France, share a baguette, cheese, and a bottle of wine as we climb toward the abbey. I wish I could laugh with her, translate for her, and hold her hand as we climbed there together. Although I do believe we made this journey together, life had different plans for how it came about. In the last weeks of my mom’s life, her sleeping schedule was thrown for a loop. She would sleep for long periods of time, then jolt up for a few unsettled minutes, only to return to her seemingly restless sleep. Family and friends rotated third shift hours, and it was during one of these nights, in her final days, that YouTube offered me a great opportunity. I don’t love YouTube all the time, but I will forever be grateful that I was able to journey with my cancer-ridden mother across the Atlantic Ocean that night. A quick search allowed us the chance to experience Mont St. Michel with homemade videos of the climb to the abbey, the cobble streets and shops lining the path for us to enjoy, and there at the top, we were welcomed to the doors of the abbey. A tour guide I will never know but will forever be grateful to showed us the sites that my mom would not be able to physically reach. I have memories of going through the motions after her death. Setting my mode to auto-pilot. Shaking hands. Hugging. Meeting people, some for the first time, whose lives my mother had impacted. Smile. Console other people, some of whom you barely know. Society’s funeral proceedings are not for the family. The wake, funeral, and burial were not enough for me to lay her to rest. So I glided through the motions, but I knew there had to be more. 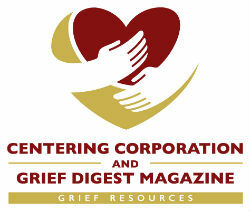 When we finally closed the book on the “grieving process” at the post-funeral luncheon five tiring days after her death, I knew I had to find my own way to mourn. I left town. I needed some space and breathing room, but that was not enough. Days passed when I wanted to world to stop and let me off since my mom wasn’t there with me. Although the thought had crossed my mind earlier, I could now focus on the fact that my journey to Northern France was imperative. Although she didn’t journey to Mt St. Michel during her lifetime, it was my responsibility to take her there with me. I could see it, and she would be there in my heart. Funeral proceedings wrapped up on May 31, and I began researching airfares and booked my flight for July. Many pieces fell into place for this trip telling me it was meant to be. Continental had recently created a direct Cleveland-to-London flight. I had a friend studying in England at the time, and it just so happened that our friendship had been molded by surviving high school French class. Although she could not come home for my mom’s funeral, her role as tour guide and support during this trip was of much greater value. There were many stops on my journey, but my final destination was the only one that mattered. The hustle and bustle of London reminded me I that I love big cities. The architecture of the Lincoln Cathedral was magnificent, and it got me excited for what was to come. We rode multiple trains and a bus to carry us from the big city lights of Paris to the northern coast of France. I braced myself to trade in fresh crepes under the golden-lit Eiffel Tower for closure on my mother’s life. It was during the bus ride, knowing we were close, knowing she was with me, that I could finally begin to mourn. I stifled my sniffles, but I was glad to finally be able to let out the emotions that I was too busy to express at the funeral. Hey, Mom. We made it. The people were kind. While navigating French websites, I had accidentally booked a hotel too far away, but the clerk at the much-closer-yet-noticeably-more-expensive hotel broke the news to us gently. The same bilingual clerk and our fatigued feet convinced us to book a room at this hotel—only a short walk to the land bridge—and encouraged us to try checking in using our broken French yet told us to switch to English if needed. Stumbling upon key chains at the grocery store, I thought these could act gifts for my family-- a constant memento of the woman we cherish and a reminder for us to live our dreams. Travel. Don’t wait too long. The young French cashier who had to hand-type product codes for the giant handful of key chains didn’t act too annoyed. Although she may not have known their significance, she was kind to complete the task undeterred by the tediousness. While the people made us feel welcome, the weather did not. My friend and I, fresh out of college and budget conscious, decided to walk across the tidal bridge instead of paying for a cab, and during our thirty minute walk, and I kid you not, only those thirty minutes, there was monsoon-like rain. We laughed and cried at the Morrisette-esque irony when the rain dissipated and sunny skies appeared as our feet touched the island. Just the sort of travel story my mom would have loved to tell. Our steep, cobble-stone journey was accented by our rain-soaked clothes. I took it all in. The now live-action stores, cafes, smells of baguettes and coffee, and cobblestone paths highlighted our path to the abbey. That afternoon, as my friend, my mom, and I were able to enjoy the ancient architecture, the stone work, the simple stained glass windows, the center courtyard, and the rooms where prayer had occurred throughout the centuries and that day — my mother was laid to rest. To me, there was something about standing inside the abbey and looking out knowing how many people look toward the building and enjoy its beauty. Tourists roamed the rooms, the hallways, and the gift shop. One particular child stood out to me. A young red-headed child was giving his mother fits with his desire to roam. An exasperated mother would call looking for him, “Etienne! Etienne!” I knew from my French studies that “Etienne” translated to Stephen. I love to know that there was once a young mother with a child name Stephen who shared a similar energy to Etienne, and that, of course, was my mother. Had she journeyed there with her son, she would have enjoyed the views while also tracking down a young, energetic Stephen. Etienne and his mother were fun to watch and served as a coincidental reminder of the woman I took to Mont St. Michel with me. Hey, Mom. We made it. It’s beautiful, unbelievable, and amazing. When lit up at night, it is awe-inspiring. I wish you were there with me, in person, but since that wasn’t in our cards, I’m glad you came with me this way. My experience at Mont St. Michel was closure to my mother’s dying. I’m still not over it, as I’m sure I never will be, but it gave me time to focus on my mom’s life and death on my own terms. As I ventured to the top of the island, in the abbey that my mother had been drawn to, I could now close the mourning process that had been opened two months before. And while she still lives on in my memories, my stories, my dreams, my thoughts, and my heart, I headed back to the United States, more at peace, knowing I had taken my mom to the picturesque, breath-taking abbey. Marie McGuire is a math teacher near Cleveland, Ohio, and a Hiram College graduate. She lost her mother to cancer in May of 2007, and the journey in the narrative happened that summer. In 2014, while living in Winchester, Virginia, she enrolled in a graduate course, "Writing Across the Curriculum," which allowed her to relearn her love of the writing process and discover the power writing can have in the grieving process. Marie hopes to one day put a compilation of memories from her parents' deaths into a book.